Using the Intlmovers website is so easy! Simply take a couple of minutes to elect where you are moving from and moving to by using the drop down menu. Within a couple of seconds you already have a list of the pre-selected companies who can meet your needs. Then it is just a case of filling a few basic details about your move requirements and adding your contact details, and it is immediately forwarded to them for their custom response to you. They will contact you directly so there is no sitting around and wondering about your quote. 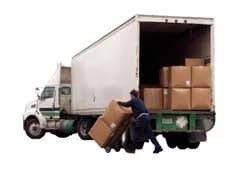 There are no costs involved in using the online services offered by Intlmovers, but you will very likely save on costs when you request quotes. After receiving up to six direct responses, you will be able to more easily work out what you want and make a decision based on the services and associated costs that are presented to you in each quote. It makes sense to compare free quotes with Intlmovers! Complete the short request form and receive quotes directly for international moves to the British Indian Ocean Territory. International moving companies you find here have experience with moves to the British Indian Ocean Territory. You can avoid a lot of stress by letting international movers manage your logistics and moving tasks. You can conveniently compare international moving services in the comfort of your home. The British Indian Ocean Territory is located in between the continent of Africa and the islands of Indonesia , roughly 1,500 kilometers south west of India, in the middle of the Indian Ocean. The territory is also known as the Chagos Islands as it is made up of a number of atolls in the archipelago of the same name. Of the group of islands, the largest is Diego Garcia, which is less than fifty square kilometers. The area is used by American and British Armed forces, who are the only residents of the islands. In the 1960’s, when the islands were established as a territory of the United Kingdom, the original population was expelled and many sent to the neighboring islands of Mauritius and Seychelles. Whilst it may not seem like a big deal, working with a company that has a reliable track record can really help set your mind at ease when you are making an international move. The many years of trusted and reliable experience of international moving companies that list with Intlmovers help ensure that your goods arrive on schedule and in the same condition as when they left. They will offer careful handling of your goods from collection to drop off. All Intlmovers quotes are provided cost free as well as obligation free. That means that it doesn’t matter how many quotes you receive, you are left to your own preferences when it comes to decision making time. Whether you choose by price or service or both, you are free in knowledge that you don’t need to choose any of the quotes that receive via Intlmovers should you feel that they don’t quite match what you were looking for.